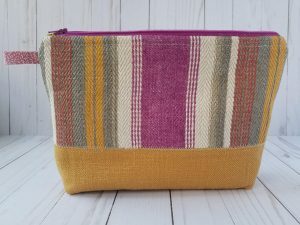 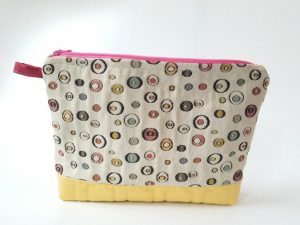 This versatile zipper bag will bring some fun into your daily routine! 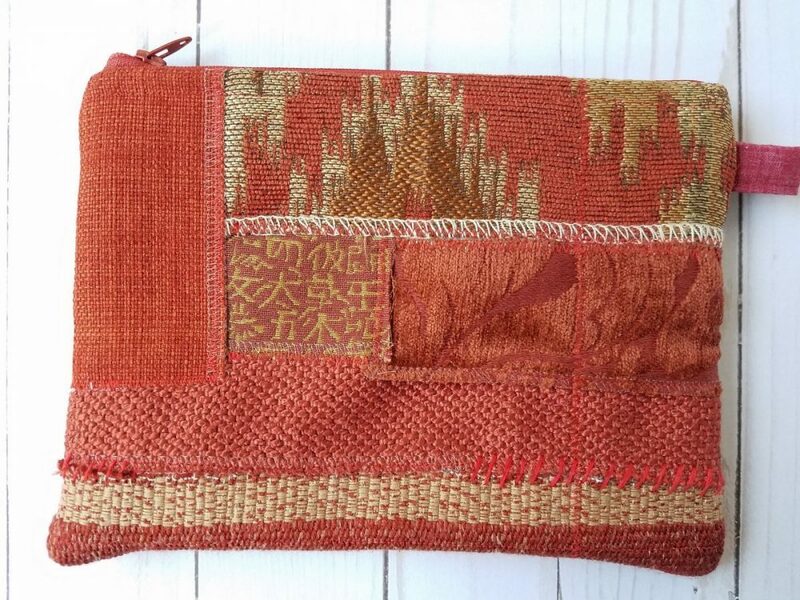 Whimsical and artsy, it is made of a patchwork of different fabrics in reds and gold. 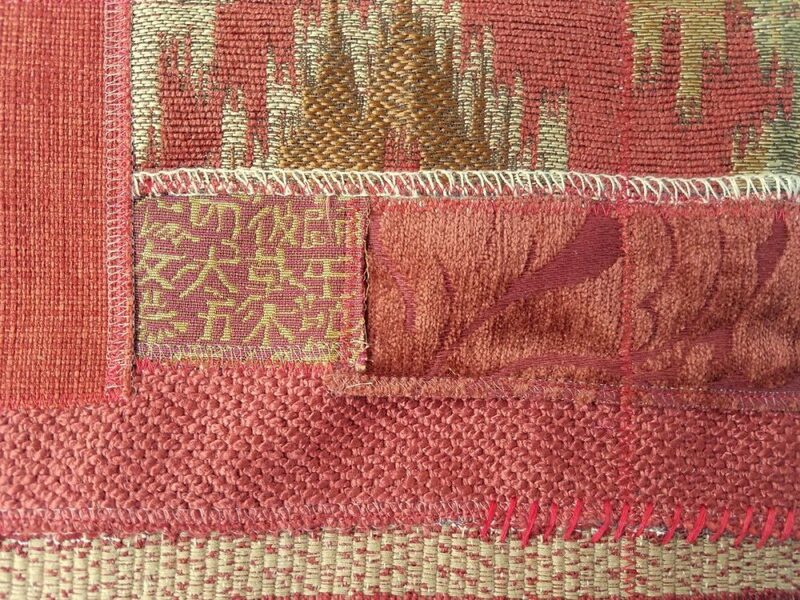 It has some additional decorative stitching (both by machine and by hand) for added interest. 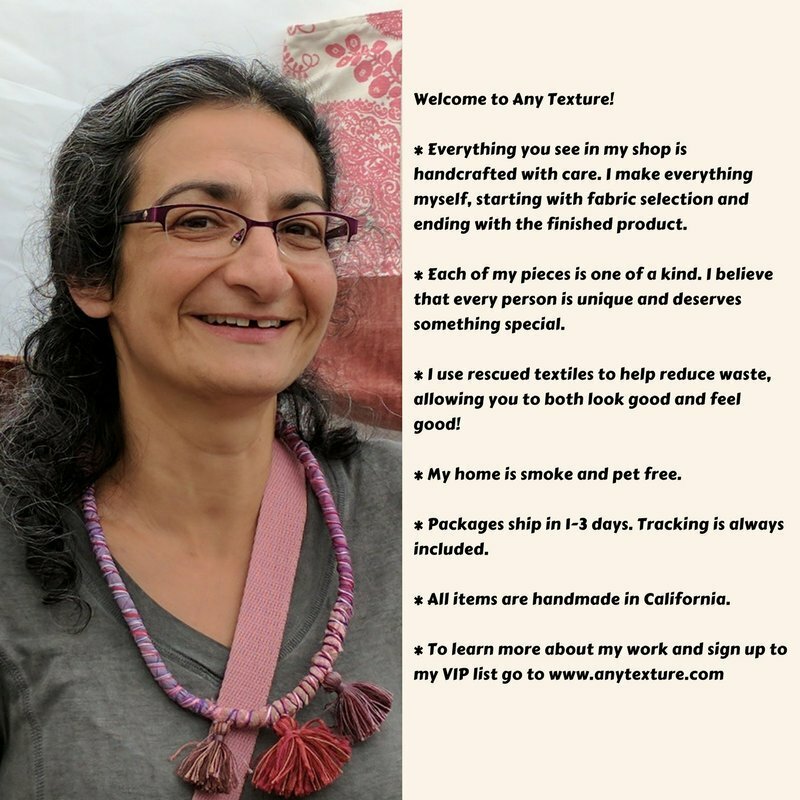 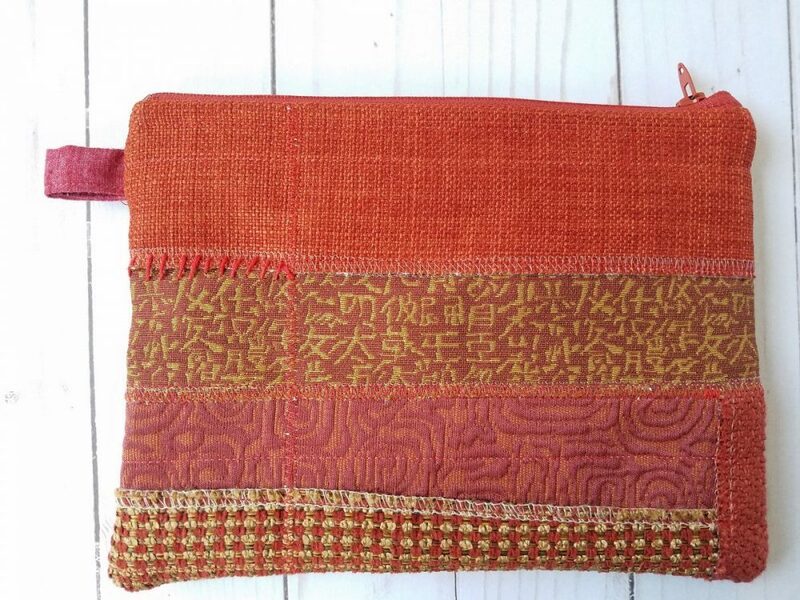 This one-of-a-kind item can be used to hold many different things: money, cosmetics, cell phones, pills, school supplies and much more. 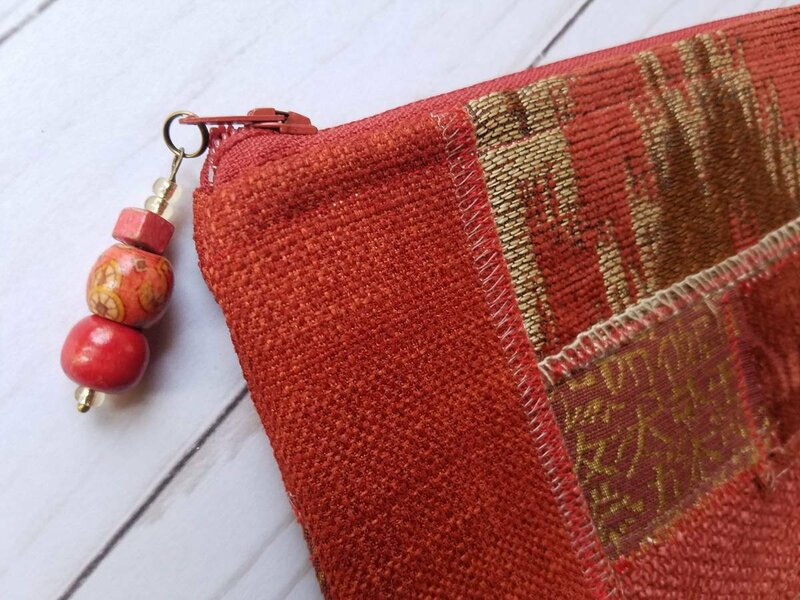 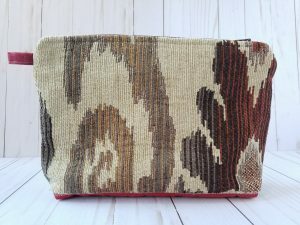 – This zipper pouch is made of a patchwork of different home-decor fabrics in red and gold. 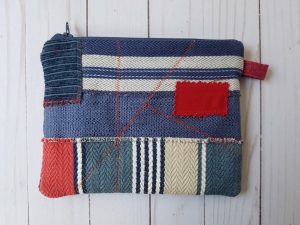 – The red zipper matches the color of the pouch. 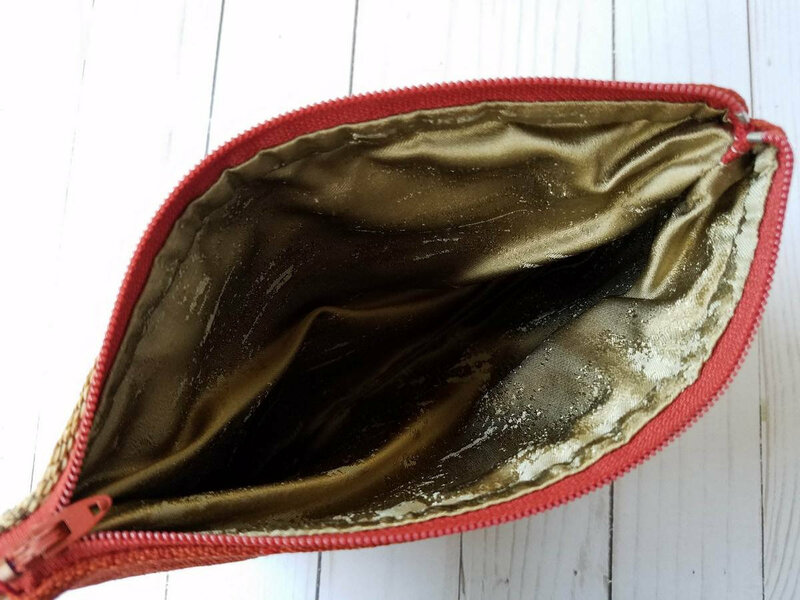 – Lined with a silken solid distressed gold fabric.